High, barrel-vaulted ceilings? Check. 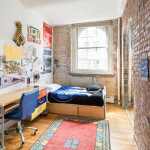 Exposed brick? Check. Classic columns? Check. Oversized windows? Check. 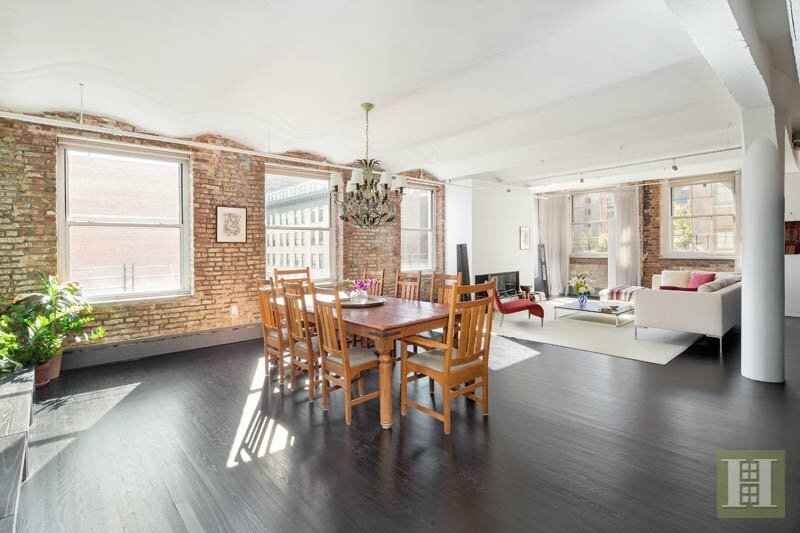 This apartment in the Dietz Lantern Building at 429 Greenwich Street offers everything you’d want from a historic Tribeca loft and is on the market for $5.25 million. 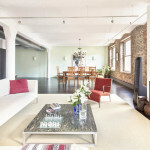 The four-bedroom, 2,700-square-foot apartment is located within the Tribeca North Historic District in a former factory building, erected in 1887, that manufactured lanterns for horse-drawn carriages. 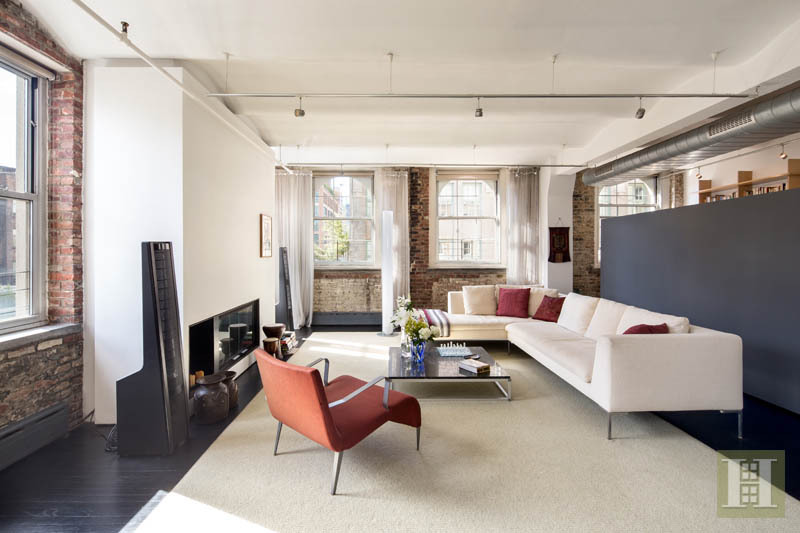 It was converted to condominium in 1996, and today its homes boast an enviable mix of historic details and modern conveniences. The relaxed loft starts off with a long entrance gallery, which is perfect for displaying art or family photos. 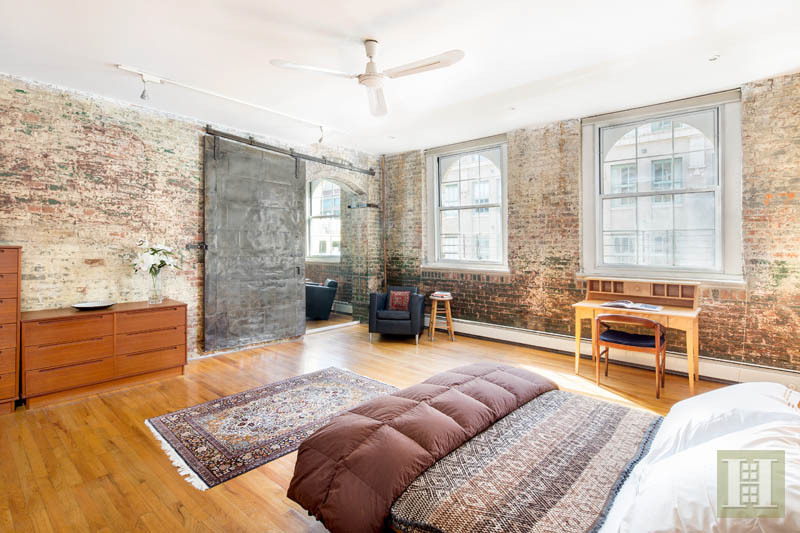 It leads to the spacious corner living/dining room that is highlighted by barrel-vaulted ceilings and massive, double-glazed windows looking out to the surrounding historic district. 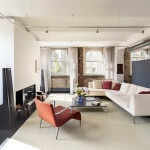 A contemporary wood-burning fireplace pops against the exposed brick walls, as does the slate grey divider. 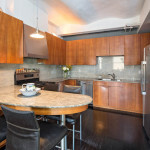 The open chef’s kitchen is a complete modern addition, set back from the central entertaining space. 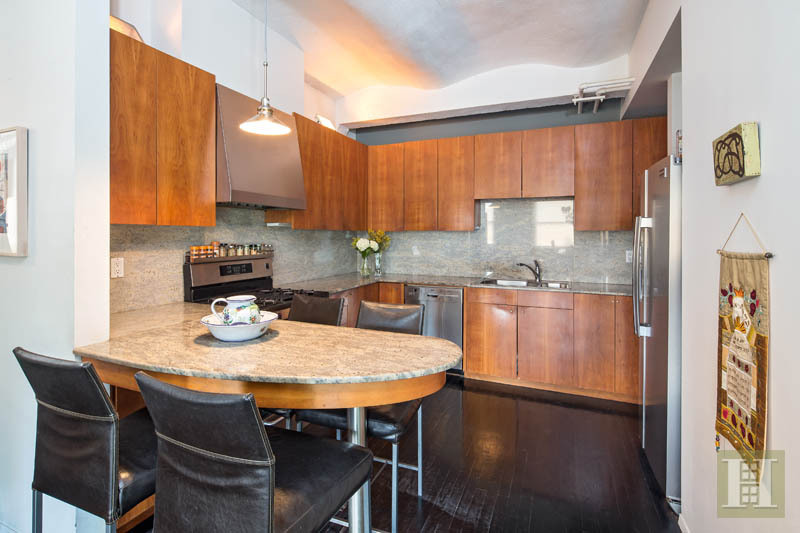 It features a four-person island, deep granite countertops, and stainless-steel appliances. Close by is the private office with custom built-ins, and from there a hallway leads to four bedrooms, a separate den, and two renovated bathrooms. The sunny master suite has perhaps the most historic charm of all. 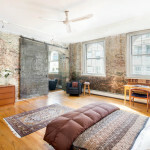 Completely surrounded by arched exposed brick, the room also features an industrial, steel sliding door. In addition to a large walk-in closet, the suite has an en suite bathroom with a double-vanity, deep soaking tub, and glass enclosed shower. And though there are no horse-drawn carriages making their way inside anymore, the apartment does offer a private spot in the on-site parking garage for an extra cost.